In his lectures on this subject, gathered here into one volume by translator and Zen teacher Richard Collins, Deshimaru returns to a chorus: Mushotoku mind is the key attitude characterizing the way of the Buddha, the way of the bodhisattva, the way of Zen and zazen, and the way of all sutras (teachings). The written word has a checkered past in the history of Zen, which offers mind-to-mind transmission of wisdom without scripture and without words. Still, it is difficult to imagine Zen without its literature. 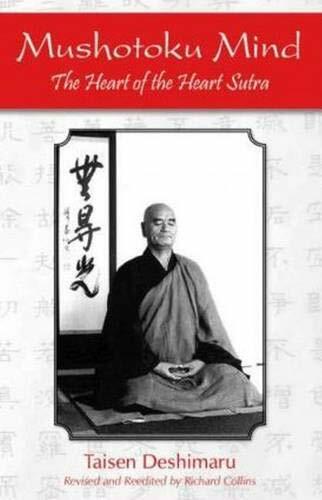 Poems, koans, anecdotes, autobiographies, commentaries, sutras, all play a role in the transmission of Zen from the fifth century to the present. Ultimately, these written records can always be only fingers pointing at the moon of zazen. Taisen Deshimaru.Founder of the Association Zen Internationale, one of the largest influences on Zen in the West. Raised by his grandfather, a former samurai, and educated in Christianity & Western philosophy, he became a successful businessman. He studied Rinzai Zen before finding his master, Kodo Sawaki & the practice of Dogen's Zen. Before his death, Sawaki asked Deshimaru to spread Zen. Deshimaru arrived in Paris in 1967. La Gendronniere, the practice center he founded in France, was established in 1979 & continues to be an important Zen center. He died in 1982, leaving a number of influential disciples.